National Trust owned 14th-century merchant's house. 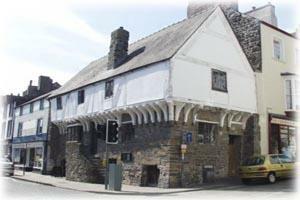 This is the only medieval merchant's house in Conwy to have survived the turbulent history of the walled town over nearly six centuries. Furnished rooms and an audio-visual presentation show daily life from different periods in its history. 2019 Prices: Adult £4.80, Child £2.40, Family £12.90. A55 Junction 18 & A546/A547 to Conwy; follow signs to car parking. Aberconwy House is at the junction of Castle Street and High Street.